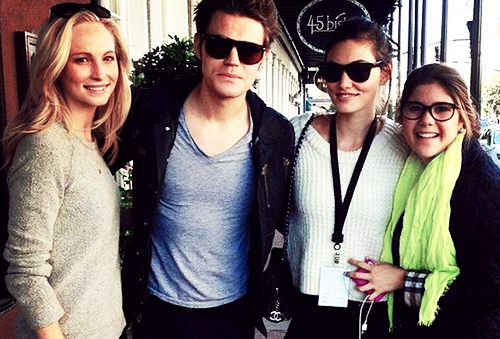 Phoebe Tonkin, Paul Wesley & Candice Candice Accola in Savannah, Georgia. . Wallpaper and background images in the Vampire Diaries club tagged: phoebe tonkin paul wesley candice accola the vampire diaries. 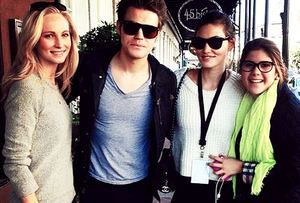 This Vampire Diaries photo contains lunettes de soleil, lunettes noires, des nuances, nuances, and lunettes.